Recycling reduces the need for landfills and incineration. By making products from recycled materials instead of virgin materials, we reduce the need to cut down trees, drill for oil, and dig for minerals. It usually takes less energy to make recycled products. In most cases, making products from recycled materials creates less air pollution and water pollution than making products from virgin materials. When the materials that you recycle go into new products, they don't go into landfills or incinerators, so scarce landfill space is conserved. Recycling creates jobs, saves valuable resources and is simple to do. Before you throw away think about the Earth and reuse, reduce and recycle. The term Recycling has become a part of our everyday vocabulary. We take for granted that we Recycle everything as much as we can. 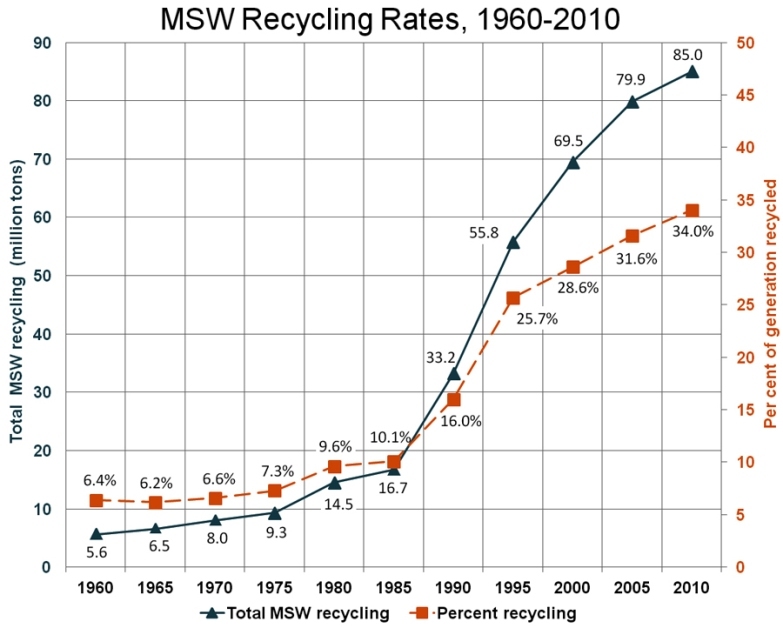 If we look at the Recycling rates for the major cities in the United States it is obvious we have a big opportunity for improving our efforts in Recycling. 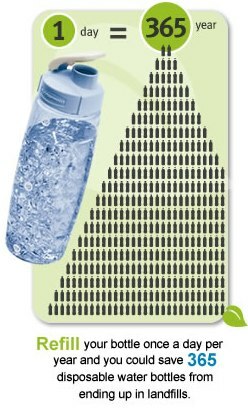 Buy a refillable bottle and fill it with tap water instead! The numbers on these tables are scientists best estimates of decomposition rates-The "chemistry" of decomposition of waste is complicated -- very complicated. The rate of decomposition of various trash components depends not only on what the component is, but what other materials the component comes into contact with ( ex. water ,sunlight). For example, at neutral pH (~7) aluminum is very stable, but at low pH (~3) or high pH (~9) it decomposes rapidly. Be aware that since many of today's land fills are sealed, decomposition rates are very low due to the dry and essentially oxygen free conditions in the land fills themselves. 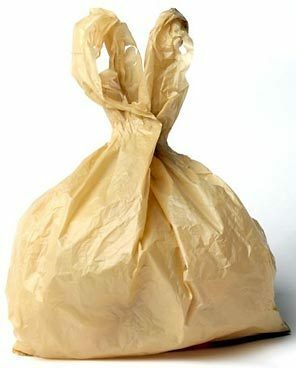 According to New Scientist Magazine, plastic shopping bags are better in these conditions than paper. The reasoning is that plastic takes up 1/10 the space of paper and the paper takes so long to decompose that land fill volume is the critical ecological factor. 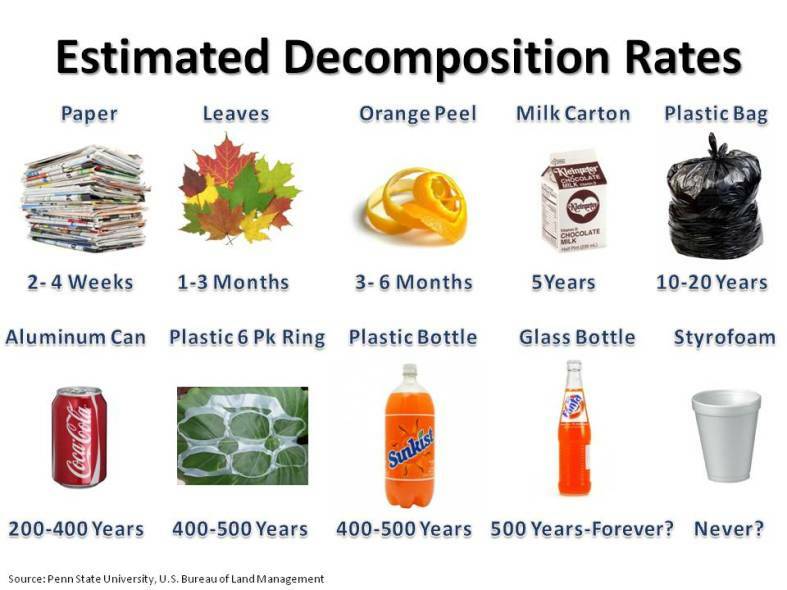 Paper can decompose in 2 to 5 months but not if it’s a plastic bag! The paper entombed inside the bag won’t decompose for at least twenty years – the approximate time it takes for the plastic to deteriorate. Paper accounts for almost half of what we send to landfills. If we Americans recycled just one tenth of the paper what we end up throwing in the trash, we could save 25 million trees a year. The average American uses seven trees a year in paper, wood, and other products made from trees. This amounts to about two billion trees per year. Separate paper into white office paper, newspaper, cardboard, and mixed-color paper, and tie each type separately. Don’t put it in a plastic bag! The 17 trees saved can absorb a total of 250 pounds of carbon dioxide from the air each year. Whereas, burning that same ton of paper would create 1500 pounds of carbon dioxide! 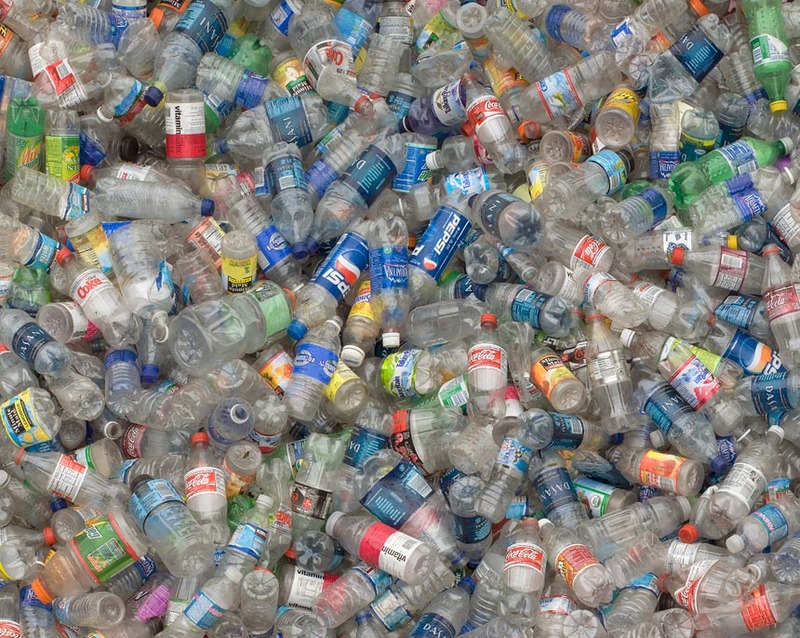 Americans use 2.5 million plastic bottles every hour. Most of them are tossed in the trash! The process of recycling glass (clear, green, and brown bottles, as well as broken glassware) uses substantially less energy and produces less carbon dioxide than manufacturing glass from scratch. Using recycled glass uses 40 percent less energy than making products from all new materials. Today, almost 22 percent of the glass we produce is recycled. More than 20,000,000 Hershey’s Kisses are wrapped each day using 133 square miles of aluminum foil. All that foil is recyclable, but not many people realize it. According to the EPA, Americans have dumped over 9 million tons of just about anything with a thread count into landfills nationwide. The best way to recycle fabric is to contribute your old duds to a charitable organization. Recycling just 1 million cell phones saves enough energy to power over 1,940 U.S. households with electricity for one year. With an estimated 150 million cell phones sitting unused in homes and offices across the country waiting to be recycled or reused, there is the potential to offset the energy consumption of more than 291,000 households. Recycling 150 million phones would prevent 75,000 tons of e-waste from entering U.S. landfills, to the dramatic benefit of our environment. 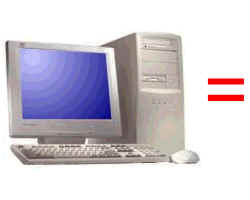 The EPA estimates that 29.9 million desktops and 12 million laptops were discarded in 2007. That’s over 112,000 computers discarded per day. In 2006, the U.S. generated 2.9 million tons of e-waste in the U.S. Of this amount, only 330,000 or 11.4% was recycled. The rest was trashed – in landfills and incinerators. Reducing waste does not mean you have to reduce what you buy, it means shopping with the environment in mind. Consider the environmental impact of each product before you buy it. Make a list of what you need before you go shopping; this will reduce impulse buying. Buy in bulk. It is cheaper and eliminates small containers and excess packaging, which accounts for 50 percent of our domestic trash. You have bought your laundry soap like this for years. Think about what else you can buy in bulk! Avoid buying throw aways that can’t be recycled. 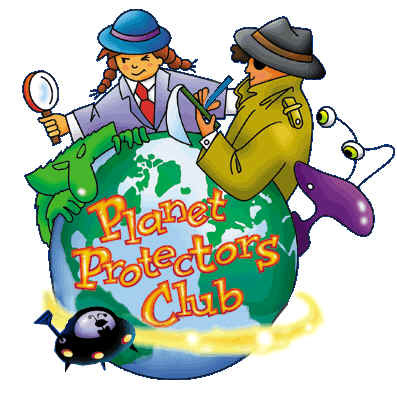 Remember, every time you make a purchase, you cast your vote to protect the environment. Learning to reuse is easy and after a little practice, it will become second nature. Here are some great ways to reuse our precious resources. 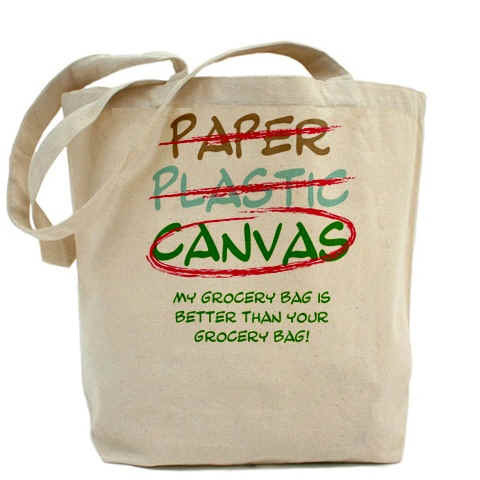 Reuse shopping bags or buy canvas bags and use them when you shop. Buy durable high quality goods for a longer life outside the landfill. Although durable goods may cost a little more at first, they will save you money and help save the environment in the long run. Before throwing anything away, think about how each item can be reused. Be sure to use both sides of a piece of paper before recycling it. Donate clothing, furniture, and appliances to charity. Hospitals and nursing homes often accept old magazines and schools reuse many items in their art and theater classes. Almost all glass, plastic, and metal containers can be reused for storage in the kitchen or the garage. Think before you toss. Reducing is the best way to protect the environment. However, if you can’t reduce something, reuse it, and if you can’t reuse it, recycle it. Recycling means collecting, processing, marketing, and ultimately using materials that were once discarded. Many different materials can be recycled. 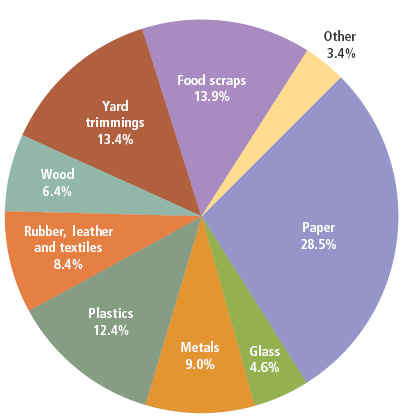 Among these are aluminum cans, glass bottles and jars, plastics, tin cans, steel cans, brass, copper, car batteries, computer paper, office paper, corrugated cardboard, motor oil, scrap iron and steel, and tires. Separate aluminum, steel and tin cans from other metals. Wipe or lightly rinse all cans and make sure they are dry before recycling them. 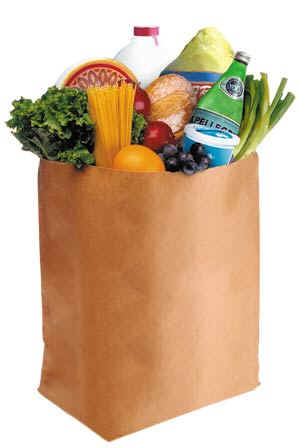 Prepare newspapers by folding them into brown paper bags or bundle with string into one foot stacks. Prepare glass by rinsing and removing metal or plastic rims and lids. Break down corrugated cardboard boxes. Motor oil should be collected in no larger than five gallon containers and be free of contaminants. What is in a computer? On average a computer is 23% plastic, 32% ferrous metals, 18% non-ferrous metals (lead, cadmium, antimony, beryllium, chromium and mercury), 12% electronic boards (gold, palladium, silver and platinum) and 15% glass. Only about 50% of the computer is recycled, the rest is dumped. 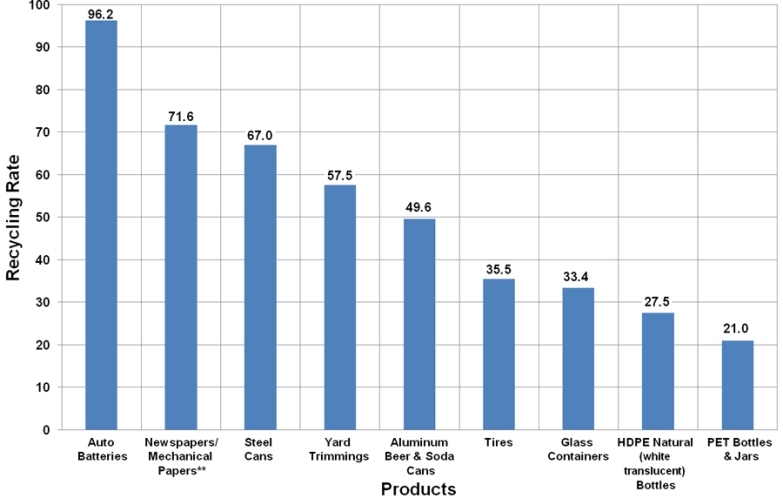 The toxicity of the waste is mostly due to the lead, mercury and cadmium ï¿½ non-recyclable components of a single computer may contain almost 2 kilograms of lead. 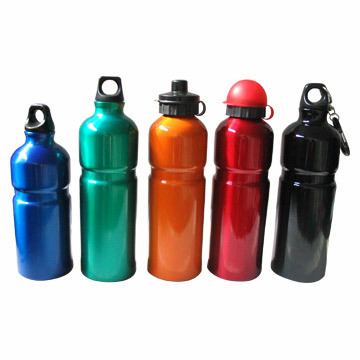 Much of the plastic used contains flame retardants, which makes it difficult to recycle. 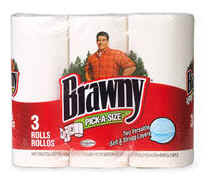 Paper towels cannot be recycled the way other paper products can. They are generally already made of recycled paper products, and as the products get reused, the fibers get continuously shorter. Recycling paper towels would also raise concerns of bacteria and food waste, as they are used to clean up messes. Although paper towels cannot be recycled at most recycling plants, they can be used for composting and creating mulch. Creating and maintaining a compost heap can be a time-consuming process, but will produce cheap, high-quality mulch to use in gardens. Paper towels can be added to compost heaps since they break down easily and are made of recycled fibers. Most people throw away paper towels after one use, but they are designed to be sturdy enough for multiple uses. If a towel is not completely saturated or dirty, save it for reuse. Rinse it with water, squeeze the excess water out and hang on a line with a clothespin to dry. Towels that are only used for wiping up dry messes can be saved and reused without rinsing. Some waste-disposal companies will accept paper towels as part of yard waste, as it will break down in this environment. Waste Management, Inc., the country's leading waste-disposal company, practices this method of disposal. Check with your local waste-disposal provider; if they offer this option, save paper towels and dispose of them with grass clippings and other yard waste. The world's largest human made structure is the Fresh Kills Landfill on Staten Island in New York. Recycling aluminum saves 95% of the energy used to make the material from scratch. That means you can make 20 cans out of recycled material with the same energy it takes to make one can out of new material. Each year, the United States discards enough aluminum to completely rebuild the American commercial airline fleet and enough steel to completely rebuild the cities of Chicago and New York. Recycling all of your home's waste newsprint, cardboard, glass, and metal can reduce carbon dioxide emissions by 850 pounds a year. Only one percent of the world's water supply is usable. 97 percent is contained in the oceans or seas and 2 percent is found frozen in the polar caps. Paper made from paper instead of virgin fiber requires up to 70% less energy. 1 ton of recycled paper saves 3700 pounds of lumber and 24,000 gallons of water. Incinerating 10,000 tons of waste creates 1 job, land filling the same amount creates 6 jobs, recycling the same 10,000 tons creates 36 jobs. We throw away enough diapers every year to stretch from the Earth to the Moon 7 times. Americans throw away enough office paper each year to build a 12-foot-high wall of paper from New York to Los Angeles. Recycling just one aluminum can saves enough energy to run a television for 3 hours. Making glass from recycled materials cuts related air pollution 20% and water pollution 50%. 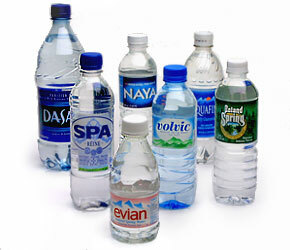 Five 2-liter plastic PET bottles (#1) can make 1 sq. ft. of polyester carpet and an XLG T-shirt! A standard shower head uses about 2.2 gallons of water per minute. Glass can be recycled "infinitely many times" and it never wears out. Making glass from recycled materials reduces related water pollution 50% and air pollution 20%. 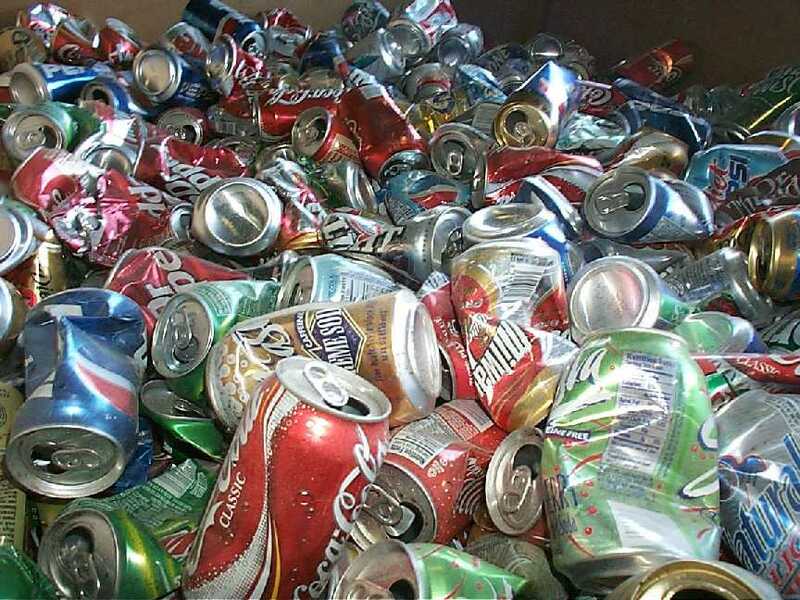 Recycling steel and tin cans saves 74% of the energy used to produce them from raw materials. Sixty percent of the world's lead supply comes form recycled car batteries. The energy saved form one recycled aluminum can will operate a television set for three hours or to light one 100 watt bulb for 20 hours. Recycling paper consumes 61% less water and 70% less energy then using Natural Resources. 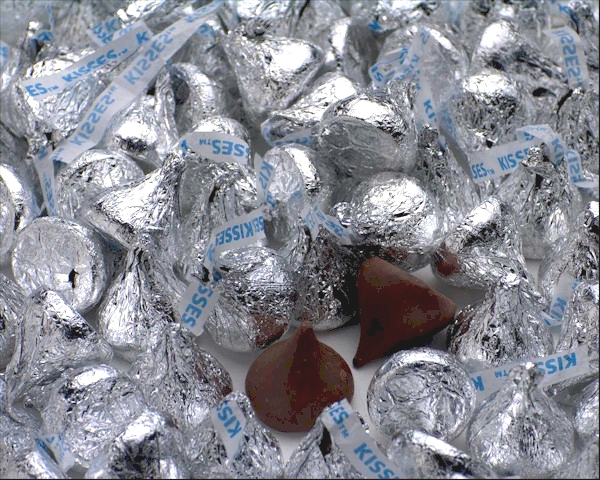 More than 20,000,000 Hershey's kisses are wrapped each day, using 133 square miles of aluminum foil. All that foil is recyclable, but not many people realize it. Since 1997, communities across the country have come together on November 15 to celebrate America Recycles Day. More than a celebration, America Recycles Day is the only nationally recognized day dedicated to the promotion of recycling in the United States. One day to educate and motivate. One day to get our neighbors, friends and community leaders excited about what can be accomplished when we all work together. One day to make recycling bigger and better 365 days a year. Get involved!